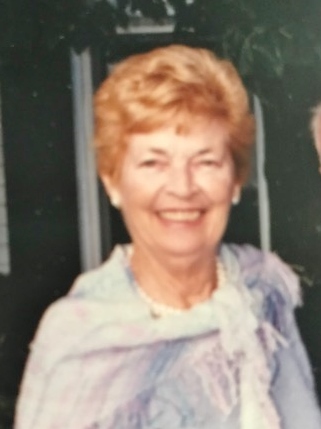 Johnson, Dona W., 94, of Green Cove Springs passed away on July 31, 2018. She was born in Detroit, Michigan to the late Jessie and Christian Westphal. Dona was first and foremost a loving wife, mother and friend. She grew up spending summers at the cottage in Lakeport, Michigan, where she taught swimming to her children, relatives and many others. Keen organizational skills were put to use early on in her office management career as well as throughout her life. She was active in her church and a tireless volunteer. Dona ensured her house was filled with good humor, she had a love of children and animals and she was an avid bird watcher and gardener. She will be greatly missed by her loving husband, Tom, and her three daughters Kimberly, Lindsay and Liesa. Tom and Dona had recently celebrated 64 years of marriage! In lieu of flowers, contributions can be made to Haven Hospice www.beyourhaven.org, St. Labre Indian School in Ashland Montana, or an animal welfare organization of your choice.